I have not been in the same country as my sister as she birthed her first two children, but baby number three was different since we are all in the States right now. Instead of needing a plane ride and passport to hold my new niece or nephew, when my family heard the news early this month that labor had started, we all piled in the car for a quick three-hour drive. My sister’s first two labors were fast and relatively easy (is labor ever easy? The very word seems to suggest otherwise). We thought this one would arrive by the time we got there, in time for my brother to see her before he caught a plane back to his work in another state. We all gathered there in the hospital, my siblings and their significant others, my parents and me. And we waited. The contractions became closer together and more intense. We pulled out a deck of cards, told stories, talked about the future, glancing down the hallway for a sign of the new life we were expecting. We stayed in the hospital for 9 hours, until eventually in the wee hours of the morning we had to leave to get my brother to the airport for his 5:00 am flight. Finally, after 35 hours of labor, my little niece arrived. I can’t say from direct experience, but I feel sure when my sister held this precious girl in her arms the pain was worth it. The wait was worth it. The section of the book we are reading this week, chapters six through eight of Monique and the Mango Rains, is raw. It is painful and full of death. Parents losing children, malnourishment, the practice of female cutting, political instability and the loss of dear friends- all these situations weigh heavy on my heart. I welcomed my niece with great joy and hope, while reading these stories and knowing they are the reality of so many around the world. The Neonatal ICU that was my niece’s home for the first week of her life is a gift I don’t take lightly. The author, Kris Holloway, describes in great detail the conditions surrounding birth in this little village in Mali and the fight for survival. In the decaying birthing house, Monique and Kris’s friend Korotun, finally bring new life into the world, the baby she has longed for. Kris and her now-husband John walk with the people of Nampossela through their pain, through the joys and challenges of everyday life. This has impressed me, how they sit with people and share so deeply the things that are important to them. We can do this too, can’t we? 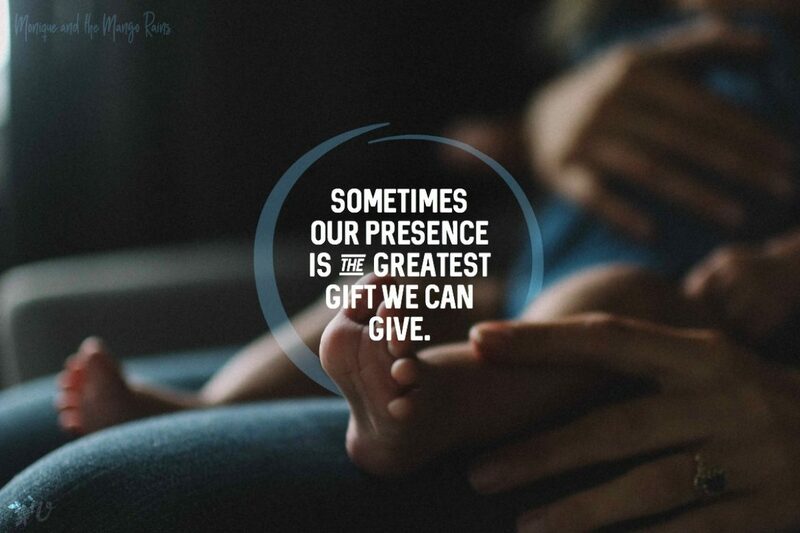 Whether we are in a hospital waiting room, or cross-legged on the floor of a village hut, sometimes our presence is the greatest gift we can give. Has someone done that for you? What does this gift look like as you extend it to others in your context? We will finish up the last section of Monique and the Mango Rains next week. Are you reading along? I would love to hear your thoughts in the comments! Do you want to connect with other women to share birth stories and encourage one another on the topics of pregnancy, labor and delivery? Amanda, a member of our VA community, has a Facebook group called Built 2 Birth. Check it out here! We are so grateful to be sharing our sister book for this month, Stretchmarks I Wasn’t Expecting by Abbie Smith! We want to reveal a little snapshot each week to help you understand Abbie’s heart behind her book. Sarah: So much of pregnancy (and life) is about waiting. What are some insights you share about lessons learned in the waiting? Abbie: One of the biggest lessons I’ve learned is that I have so much to learn about waiting! As a therapist once pointed out, “My tendency is to run ahead of grace.” As a single, I thought finding a spouse would somehow mark the finish line to my waiting woes. But then came the wait for something (or someone!) else, or for my body, or checkbook, or baby, or the adoption process… Literally, I’m waiting right now to hear back from a publisher about a new project and have felt like a toddler in my waiting tantrums. Indeed, much of Stretch Marks is about narratives of waiting, and learning to wait well. I’ve been amazed lately reading through the Psalms again and seeing how many of David’s recorded words are about waiting, and trusting God in the wait. That somehow encourages me to know waiting is a lifelong spiritual discipline. Connect with Abbie on Instagram, Facebook or her website! Post a comment with your insights into Monique and the Mango Rains, what God has taught you about waiting, or a comment or question for Abbie. One of you will be chosen to win either an electronic or physical copy (your choice!) of Abbie’s book! Just add your comment before Sunday, September 23rd to be entered to win. *When you purchase Stretchmarks, 50% of proceeds go to “We Welcome Refugees”. A friend and counselor, Bethann Miller, waited with me in the ICU waiting room and sometimes in his actual room as my husband was waiting for his body to shut down and then death. Bethann’s gift of waiting with me is one I will never forget. Maggie, thank you for sharing this beautiful example of the gift of presence! What a powerful example, Maggie. Hard to believe how transformative someone’s willingness to “wait with us” can be. Thank you for sharing. Congratulations on your new little niece, Sarah!!! And how fun that you could finally be there with your sister and family for the special event of birth…even if the wait was much longer than anticipated. I always seem to be in a different country (or state, at least) when my nieces and nephews are born, and yet again for number six expected in December, but hopefully someday it will work out to be there. Is your niece out of ICU yet? Hope everything is okay! Thanks, Paulette! And congrats to you too as you welcome another niece or nephew soon! Being an auntie is the best, isn’t it? My niece is doing wonderfully! She was in the NICU for a week, but has been out now for about 10 days. Thanks Sarah! Glad to hear your niece is doing well. And yes, being an auntie is totally the best! My favorite scene was when she let Monique cry on her and wail and moan, and then when she was done ‘her face and stance betrayed nothing of today’s events. Her life demanded that her grief reside within her. Outside, these walls, her wound could never be revealed—the rhythm of custom and duty its balm and cloak.’ She was not able to reveal her pain because she was crying over a man who she had an affair with— but I feel like my experience in the states, is people will acknowledge your pain and grief for the first few days or weeks, but when real grieving takes an extended time (going through the different cycles—anger, denial, depression) etc, I feel like it is much harder for people to weather the storm with people in extended grief. When I lost Lily, a miscarriage at 17 weeks, I feel like people acknowledged and comforted you at first, but those feelings can take months to cycle through, and most people are not really prepared to love people through the long haul. Or my friend who has a daughter with CP, I feel like she has gone through different cycles of grief, for 3 years. Really loving people through the long haul and acutely, is true agape love. And this is hard to find…. So many hard and rich truths spoken here, Lindsey. Reminds me of a psychology professor in seminary defining health as something of, “one’s ongoing ability to steward a state of grief.” Sounds completely counterintuitive, but her point was that for the believer in Jesus, there should always be an awareness that no matter how good or bad life is at a given moment, it is not yet fully as it’s meant to be. (Thereby providing space for grief and hope for what’s to Come.) Thank you for taking the time to comment! Lindsey, you are definitely right that grief is not always acknowledged well in the West! I know I don’t even give myself space to grieve well or let that grief go on for longer than just a short time. But grief comes in waves and fighting it doesn’t help, as riding those waves help us keep moving forward. Thanks for reading along and sharing your thoughts with the community! Thank you for sharing Lindsey. You are so right. it is so hard to live through the long haul. To allow people to grieve over and over again. Thanks for bringing this to our attention. It encourages me to look for those who are grieving and keep waiting with them through the second, third…. waves of grief. There were two times in my life so far where my patients muscles were the most sorely. One was when I was waiting to see if the man that I thought I would marry was going to pursue me, (thankfully he did eventually!) and the other was my second pregnancy after losing my first baby at 22 1/2 weeks. With my second baby, I read a book called “wait and see“ which was really helpful in objectively looking at the process of waiting which I was in and involving God in it rather than pushing Him out because of it. Hannah, thanks for sharing! I love what you shared about involving God in the waiting process rather than pushing Him out because of it. How often I have been angry with Him for the wait! 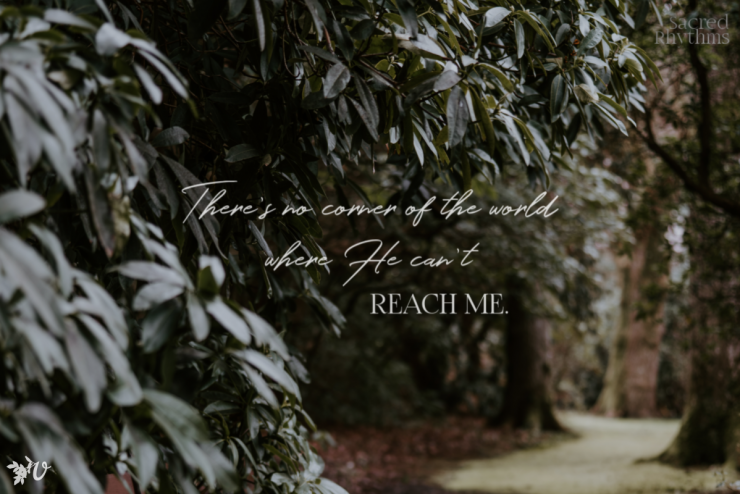 It’s a good challenge to think about allowing Him in to do what He wants in me in the season of waiting. Two loaded examples, Hannah…sigh…thanks for sharing. And love that book title. Wrestling with you this morning on these thoughtful inquiries, Spring. I think of “When Helping Hurts” often…and lament at the numbers of lives who will be unjustly lost today, or who could have been helped. I’m so appreciative that Jesus can empathize with us in these conversations (given the limits he embraced in coming as a man, limited in various ways and so often surrounded by and leaving behind seemingly unhealed stories). Hey y’all. I am behind on the readings, but so appreciate all you on-time readers and contributors. 🙂 i will keep trying to read. I like the idea of reading more than actually sitting still and reading. I want to be a reader. to come to repentance. 2Peter 3:9 Like friends who sit with us in the hospital, our Triune God is with us. He is patiently waiting along side of us. Living in a culture and language that is not my own is often isolating. 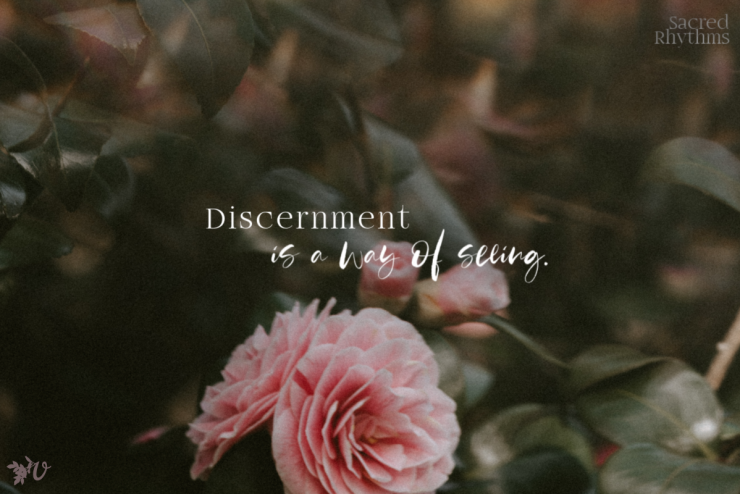 Even though there are some dear Christian sisters here who I know love me, it can be hard to constantly feel in a place where I am constantly misunderstood and misunderstanding others. (I am constantly amazed nub Fatumata’s (the author) deming ability to understand the culture, to navigate it, to use the language, to understand!!!! She obviously had such a gift for the work she was doing! I don’t feel like a I function in the culture i was called to (Japan) with even a portion of the ease that Fatumata seems to have, but it is so inspiring to see her do it! My host culture may not understand me, but the Lord sees me and knows me. He knows what I need. He waits with me. I am right there with you sister. I am clinging to Hebrews 13:20-21, that He will give us everything we need to please Him, and I am believing this also means everything we need in a different culture. I too, have often felt isolated or different (not fitting in), or that my sanctification is a slow painful process and more has been exposed in me as the “snow globe has been shaken up” ie-moving cross cultural. But, I am praying for all of us THAT HE WILL give us everything we NEED to please HIM… maybe not everyone will be pleased, but He sees us, and our struggles, and our hearts to love Him and our efforts to love others despite the differences, and at the end of the day, He is pleased. That is all that really matters right? I am also reminded that God meets some different needs in unexpected ways—and I am going to keep my eyes wide open to what He is doing, in me, and in the world. Amen, beloved Felicity and Lindsey. 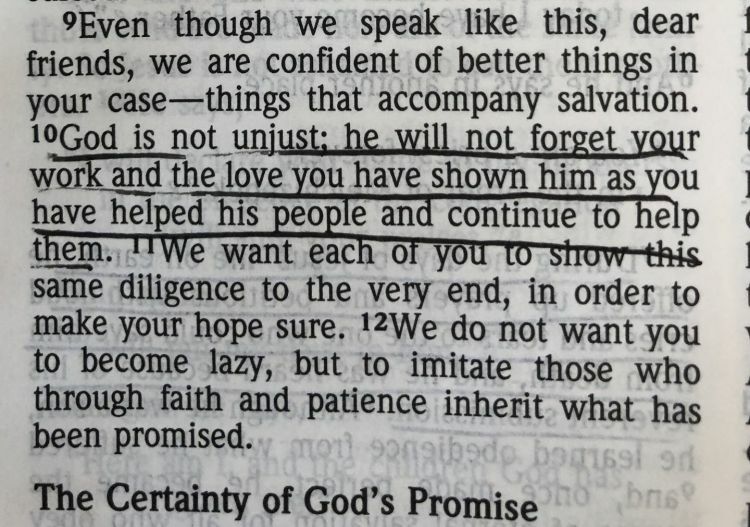 I’m right there with you, too…clinging to his promises as we wait as his unsteady saints this morning. I remember coming back to the US to wait out my 5th pregnancy with 2 of our little ones while my husband stayed abroad with the 2 older ones and a nanny’s help. Zika was going through the area where we live and it was sooo hard to live with the uncertainty of what might happen to our baby and wait to be reunited again as a family. One of the hardest times of my life. I was blessed by my parents and in-laws opening their homes and hearts during that time of such anxiety and exhaustion. Then after our son was born and he *did* have developmental delays, praying and crying and hoping he would some day hold up his head and roll over and sit and *oh* how I prayed for him to walk and talk and be smart. God has been so very good to us. He is now 2 and walking and talking a little bit and we are in the US for a while and hopefully able to get some greater support and find out what the root issue really is. God has taught me so much through all the waiting that held my heart so tightly. When I. just. can’t. HE is still there and HE cares and HE sees and HE never forgot me or my little son, and HE is giving us such very sweet times right now that I’d never have had without walking through the dark times. All the tears toward what you’ve shared here, dear Melissa. What a profound last line…that HE is giving such sweet times that never could’ve happened without walking through the dark ones. I so enjoy reading everyone’s reflections and feeling like we are reading this together! This has been a poignant section of the book, as Sarah said. I empathize with their frustration of what to do about the birthing house project when the village can’t meet their side of the bargain…and then finding a creative way to pare it down and look for donations to make it work. And the very real and frequent presence of death in the village is hard. Where we live, it feels like people are constantly going to funerals, and we see the open-air funeral tents frequently crop up in the neighborhood. How do people cope with the constant sickness and death, living vulnerably ‘on the edge’ of survival? I think that is a big piece of our reason for living where we do – to be present. To try to really understand and witness the suffering, to build relationships and to accompany our partners in the midst of the suffering and uncertainty. I do not feel like I always do that well, but we have heard South Sudanese people repeatedly thank us for choosing to live in their country, and to be present with them. I think “Presence” really is a ministry, and opens doors for God to use us and grow us. The profound ministry of Presence. Thank you for that reminder today, dear Kristi. I so appreciated all of the thoughts and comments on the gift of presence. I had a particularly difficult ministry week this week. I faced a level of intensity that it’s been many years since I’ve encountered. From walking with the family of a child who is terminal, to handling a case yesterday involving the sexual assault of a 7-year-old. It’s been intense to say the least. This week it’s a blessing to me to know that I am not alone in walking through the difficult. To be reminded that women in the past have had to navigate such issues, many others around the world are currently doing so, and still others will come behind me yet face many of the same challenges. What a gift to know that this world is not our home. And to know that we have a hope in Christ. I think about Kris and many other humanitarian workers out there who regularly face the wounds of this world. How difficult it must be to process without the firm belief that there is more than this life. This morning I was deeply encouraged by this passage in Hebrews 6. I was blessed to be reminded that it had spoken to me in the past as it was already underlined. I hope it speaks to one of you today! God is not unjust. He sees your work for him. He knows. He is a God of love. There is a sure hope. Amen. What a powerful word this morning, Michelle. Thank you for sharing; asking our Abba for a deeply refreshing weekend over you. It was hard to read about so many sad, heavy topics in this week’s section of the book. I was shocked right along with Kris as she first heard about “koloboli” although she handled her emotions very well, just listening to Monique’s description of the practice and asking a few informational questions without criticizing the practice or presenting arguments against it at that time. I wonder if Monique’s readiness to accept that “koloboli” might not be best, despite coming from a culture steeped in tradition and “how things have always been done” came partly from her scientific mind and personal observations as a midwife and also partly from her deep friendship with Kris. Did anyone else think her willingness to rethink all of this was pretty amazing? Realizing that Kris’s people did not practice this custom, and apparently still had babies and were regarded as true women in their culture seemed to astonish Monique at first, but also play a part in convincing her. I thought Kris handled the whole situation very wisely, knowing it was a major human-rights issue, but taking it slowly and equipping Monique with information so that changes could be initiated by someone within the culture, not from an outsider. This story led me to pray for friendships here that are deep and firm enough that when the time comes for me to share God’s Word in their language on topics that will challenge certain cultural customs, my friends will be willing to think things through in a new way. Even if it might be hard to reconsider “how things have always been done” from a Biblical perspective, I pray that they will do so, if only because of our relationship, and the knowledge that my love for them reflects the love of God, who truly wants the best for them in every area of life. 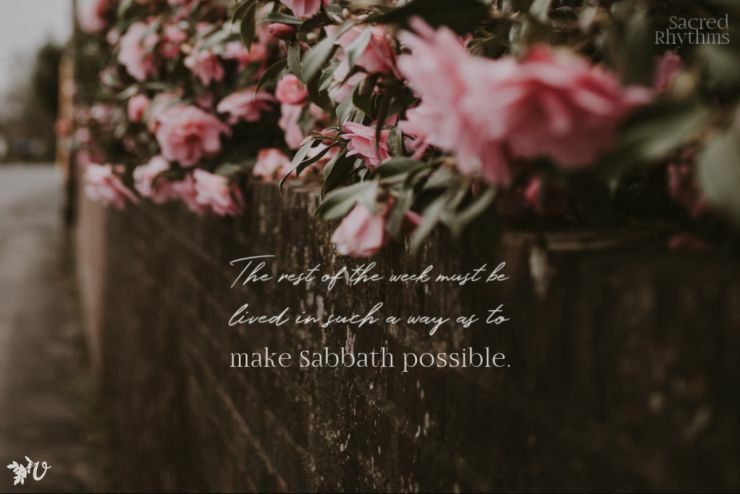 Praying for all of you sisters who may be waiting on the Lord, as some of you shared, or dealing with hard topics and issues where God’s truth is very counter-cultural in your work this week, that our Father will give you His wisdom and love in abundance.